Home / celeb / gadget / iphone / iphone 8 / iphone 8 plus / iphone x / news / smartphones / tech / videos / viral / We compare the three new iPhones – X, 8 and 8 Plus! 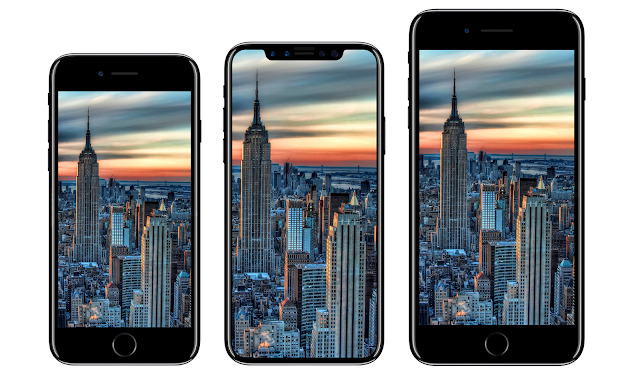 We compare the three new iPhones – X, 8 and 8 Plus! Apple has introduced its most ambitious device ever, a premium high-end smartphone that packs more new stuff into any device since the original iPhone and costs more than any of them too! 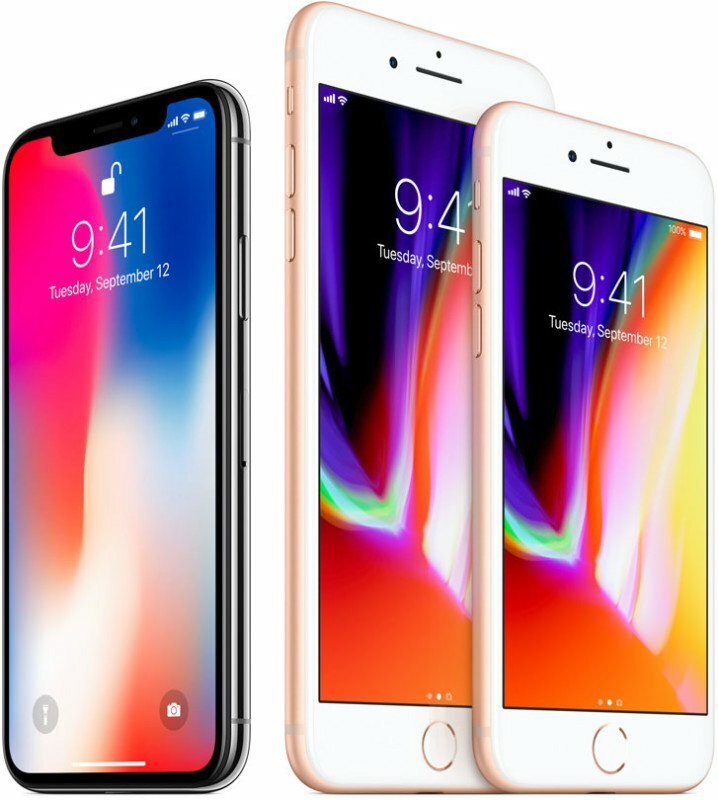 Known as iPhone X – pronounced as iPhone 10, the new phone costs USD999, and it is an "edge-to-edge" screen that has no physical home button. Even though the phone was introduced together with iPhone 8 and 8 Plus today at an Apple event, it steals all the lime light with many of its never-seen-before features on any iPhone. For starters, the phone has a newer screen technology known as OLED, a type of display that has better colour accuracy and contrast than its predecessor, LCD. The edge-to-edge display takes up the entire face, eliminating the borders around the screen, and as mentioned above, it has no physical home button, but instead uses facial recognition to unlock and gesture controls to access its apps. “Our vision has always been to create an iPhone that is entirely screen. One so immersive the device itself disappears into the experience. And so intelligent it can respond to a tap, your voice, and even a glance. With iPhone X, that vision is now a reality. Say hello to the future,” Apple writes on its page. With Face ID technology, the new iPhone has also taken emoji to the next level with its new Animoji, which is a new form of moving emoji icons that will match users’ expression in a short animation. For now, those are some of the major features of iPhone X, but what about the iPhone 8 and 8 Plus? With all the great features of X, will people even bother about 8 and 8 Plus? Well, at least 8 and 8 Plus are a lot cheaper than X, as they range between USD699 to USD849 for iPhone 8, and USD799 to USD949 for 8 Plus, and the pre-order date is much sooner than iPhone X which is on 27 October while, 8 and 8 Plus are on 15 September 2017. Also, for those who are used to iPhone’s home button will be delighted to know that 8 and 8 Plus have them, and they too offer a few big upgrades to match the iPhone X. The phones include a six-core processor that will handle more complex tasks and 3D games more quickly and efficiently than previous iPhones. The phones generally look the same as their predecessors, iPhone 7 and 7 Plus, with the exception of glass bodies, as opposed to aluminum. Both new models support wireless charging, run the latest A11 Bionic processor, which is said to be the most powerful and smartest chip ever in a smartphone. So, which one of the new iPhones worth your cash? Here are a simple summary of the three phones to help you decide. Keep sharing these kind of articles. Visit https://nexter.org/category/cool-tech for more interesting news.